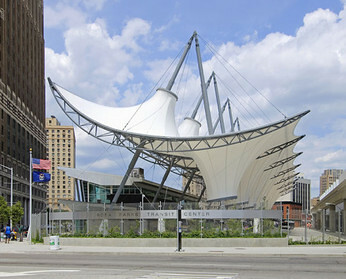 Also known as tension structures, tensile structures are architectural forms created from tensioned membranes that provide designers and end users a variety of aesthetic free-form canopy designs. 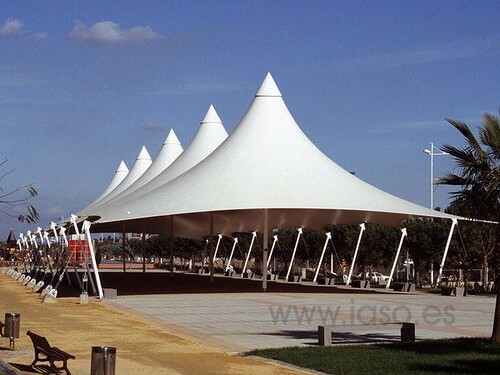 The tensile structure is a construction system based on lightweight structures, basically used as hedges. 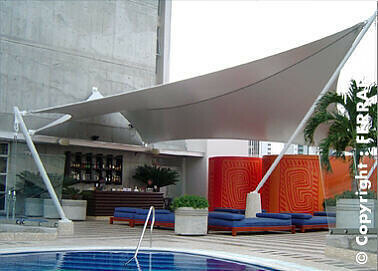 These structures achieve great stability combining and balancing the strength of rigid items (posts, arches, etc.) with the versatility and adaptability of flexible elements (banners and cables). 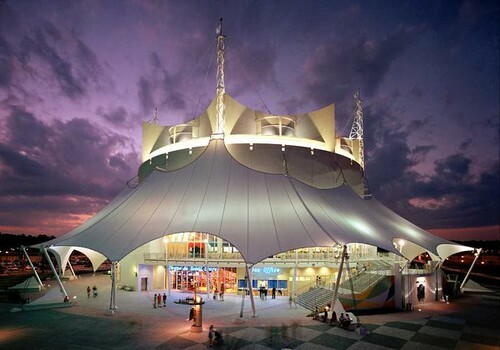 Tensile fabric structures are most often used as roofs as they can economically and attractively span large distances. Within the architectural design and construction industry, these covers are linked to several terms as: “tense forms“, “architectural membranes“, “textile wraps“, “tension structures“; However, all of the terms converge in the definition of Textile architecture. 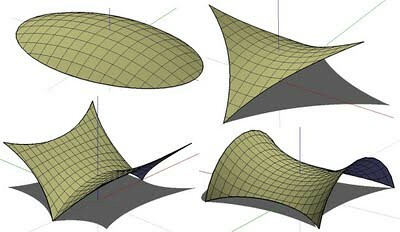 The tensile structures membranes are characterized by a double curvature that alows them to take three-dimensional forms. Thanks to technology and the help of computer programs it is possible to design and calculate the ideal pattern of the fabric for optimum resistance to weather conditions. Membrane cable tensile structure is basically represented by surfaces of fabric static achieved by the tension through the combination of steel structures (masts) and wire straps. It is a type of solution of singular solar protection, with the possibility of designing infinite three-dimensional forms (triangle,hyperbolic paraboloids, conoides revolution, etc.). 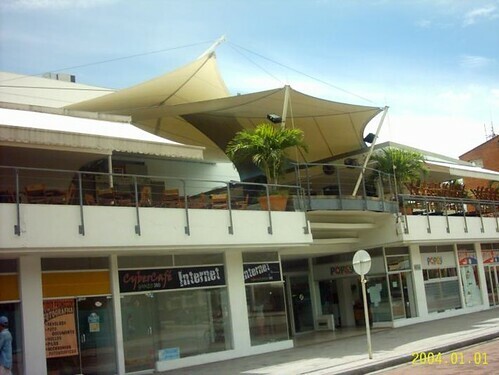 Other permanent or temporary structures.